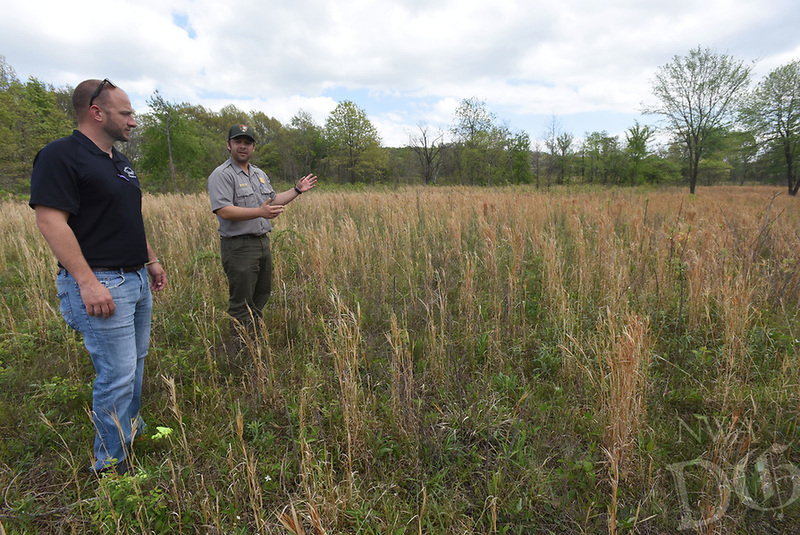 Tanner Bedwell with Benton County Quail (left) looks at acres of native grass at Pea Ridge National Military Park with Nolan Moore, chief of resources at the Civil War park. An effort to boost bobwhite quail numbers at the park and return the park to its Civil War era appearance is ongoing. Since 2015, 474 acres of cedar trees and 130 acres of fescue have been removed, Moore said.